The Path of Philosophy, or “Tetsugaku-no-michi” in Japanese, is a beautiful canal-side strolling path in northern Higashiyama, that runs between Ginkaku-ji Temple in the north and Eikan-do Temple in the south. 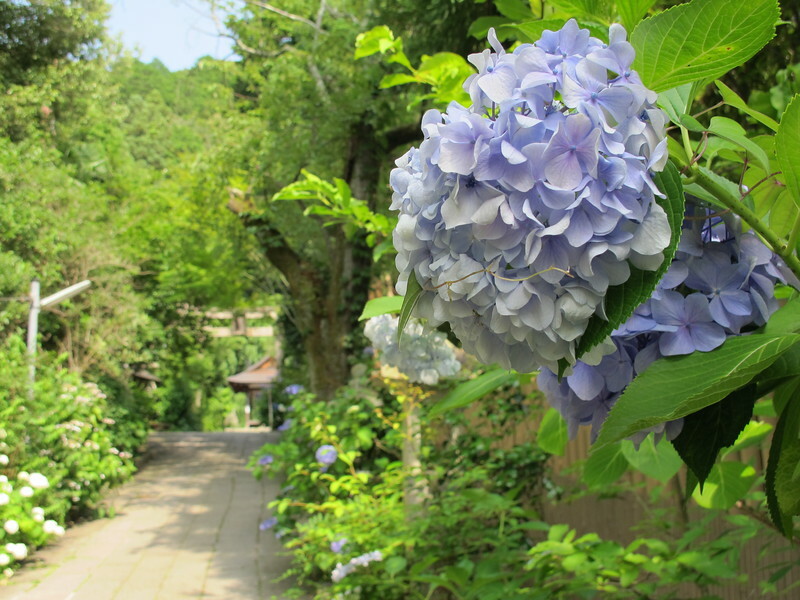 It is named after a philosophy professor at Kyoto University, Nishida Kitaro, who when tired of grappling with complex problems about the nature of reality and man’s place in the universe, would refresh himself with a brisk constitutional walk among Kyoto’s most scenic spots. Though the Path is most famous for its cherry blossoms in the spring, and its colorful foliage in the fall, in any season you will find much to reward the eye, and many sites of interest along the way. I chose to walk the Path during Kyoto’s rainy season in June, which may not sound too promising. However, I found my way lush with greenery and brightly decorated with flowers. And as the Path is not so crowded in June, it lends itself so much better to contemplative walking. The Path of Philosophy can be approached from the north or the south, but I chose to start from the south with a visit to Eikan-do Temple. Spending a little time at this temple before joining the Path proper, is perfect for putting you in the right frame of mind for philosophical walking. Built on a wooded hillside, this extensive temple complex is most popular in the autumn for its gorgeous display of red and gold maple leaves. In other seasons though, it is a green oasis of calm. An hour or more exploring this beautiful temple complex and its gardens will help you forget the hustle and bustle of the world outside and set your mind at peace. 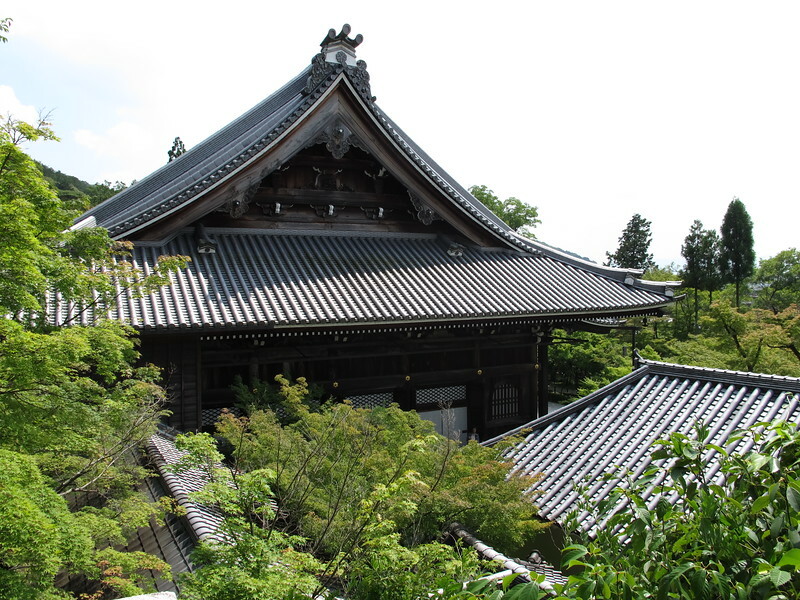 This temple was first built in 856 and originally named Zenrin-ji. The later name Eikan-do was chosen to honor the 7th abbot Eikan (also known as Yokan). Eikan was famous for helping the poor and sick. He restored much of the temple complex and he built a hospital on the temple grounds. He was also famous for his devotion to Amida Buddha, an incarnation of the Buddha who has vowed to save all living things. 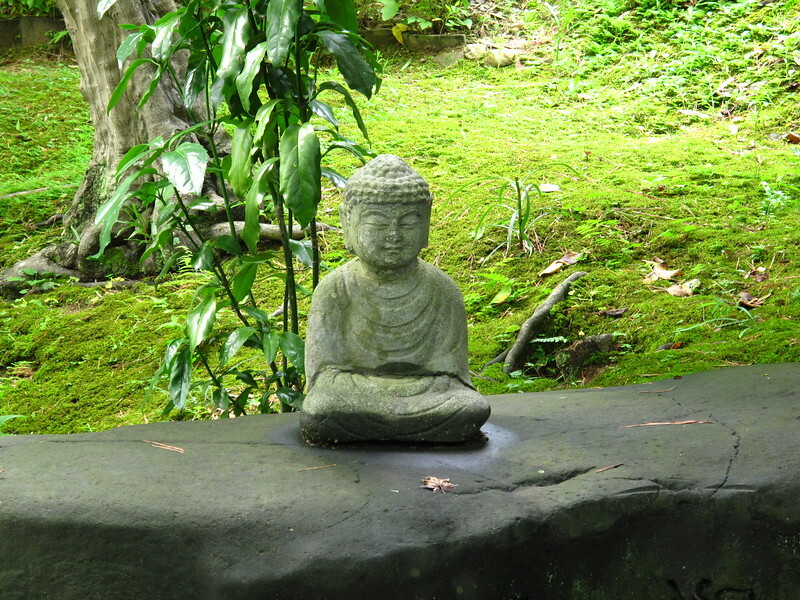 In the Amida Hall of Eikan-do you can see a very famous statue of Amida Buddha called the “Mikaeri Amida” or “Looking Back Amida”. The statue is unusual because the face is turned to the side and appears to be looking over its shoulder. This symbolically suggests that the Buddha is asking us to follow him. 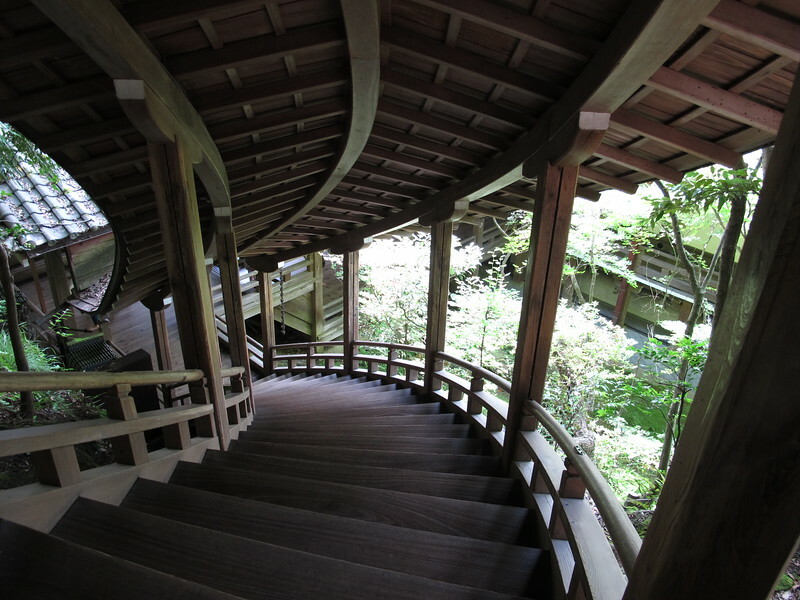 Towards the rear of the temple complex are wooden stairwells that lead up to breathtaking views over the temple rooftops. 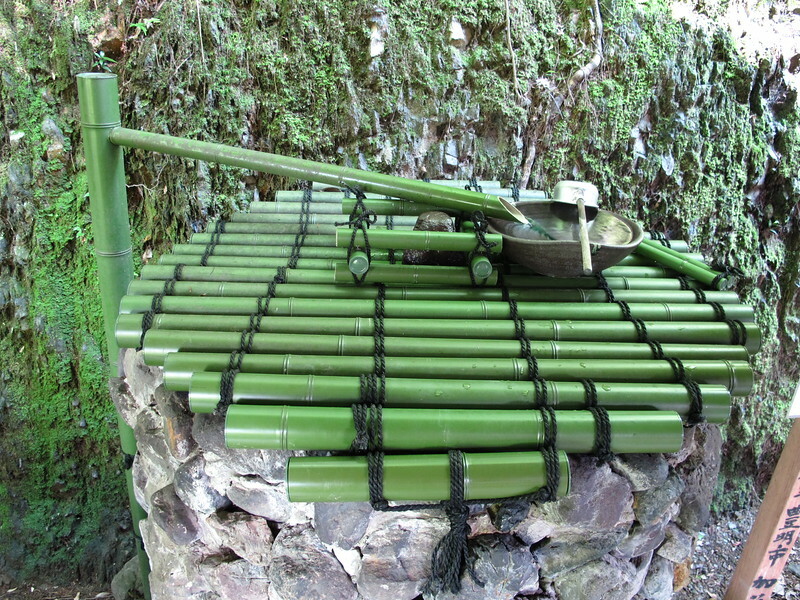 You should also look out here for the “suikinkutsu”, a large buried earthern jar that makes a lovely musical sound when you pour water into it. Further back the view from the pagoda offers another sweeping view over Kyoto. Head north from Eikan-do and take a right. 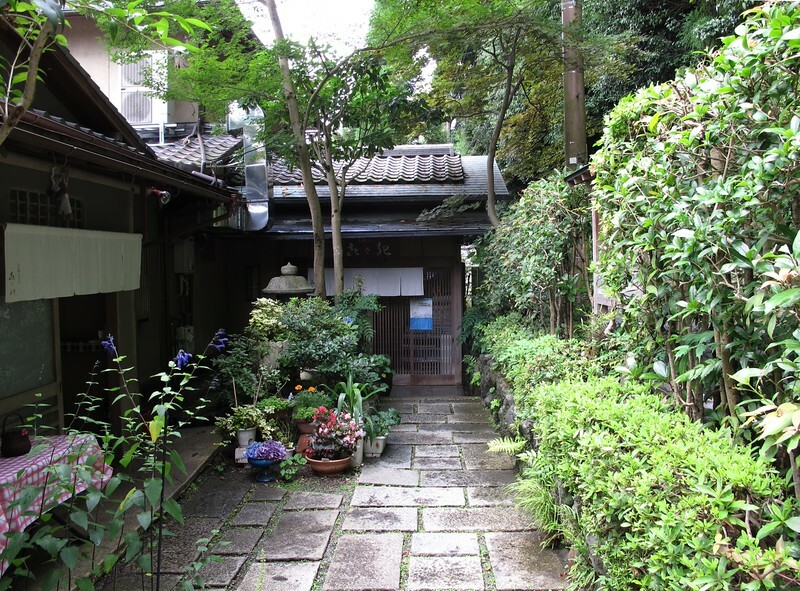 You will find the canal here and Nyakuoji-jinja: a small shrine with a long history. Retired emperor Go-Shirakawa established Nyakuoji-jinja in 1160 as the guardian shrine for the area and over the centuries many warriors and shoguns visited here to view the cherry blossoms. On the mountain behind the shrine, Nijima Jo, the great 19th century educator and founder of Doshisha University lies buried with his wife Yae. 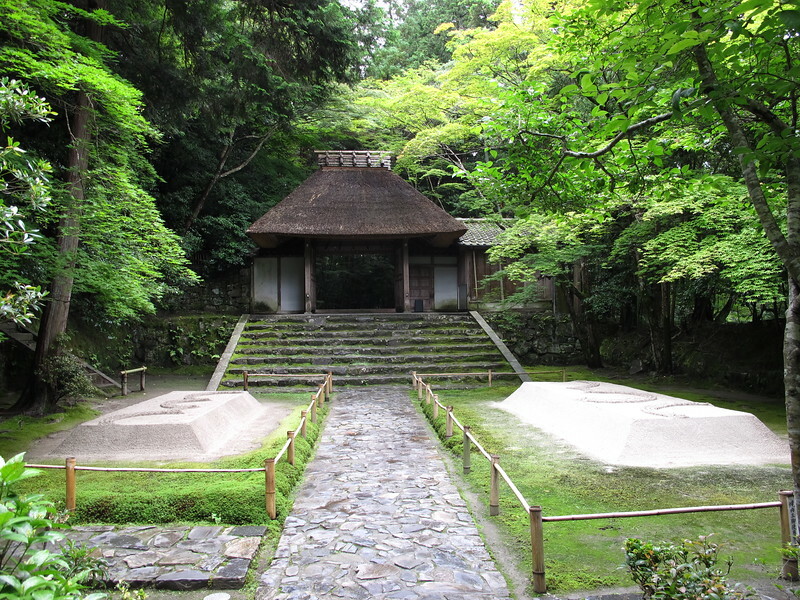 This shrine marks the true beginning of the Path of Philosophy. Before we go any further it might be worth pondering briefly the life of the man who gave this path its name. Nishida Kitaro (1870 – 1945) was born in the late 19th century when Japan was greedily absorbing knowledge and technology from the West. As a young man, Nishida, just as greedily, read widely in both Western philosophy and traditional Eastern thought. Naturally inclined towards contemplative and spiritual pursuits, he devoted his life to creating a unique philosophical system which married Western rationalism and Buddhist insights into the nature of existence. In his own lifetime his books were bestsellers, and his ideas acted as an inspiration for many other great thinkers. His legacy is the philosophical bridge he built between the world’s great cultural traditions. He was, in short, a great man. By all accounts Nishida was also a keen walker. 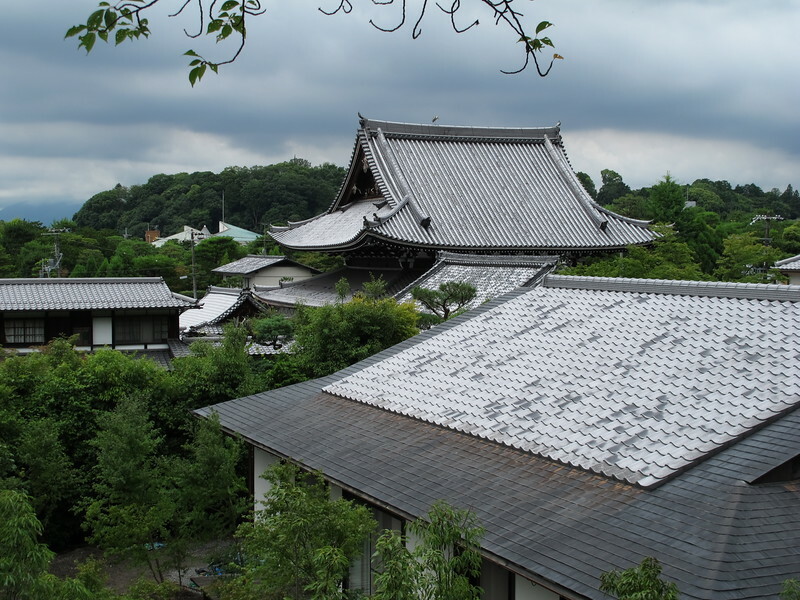 He would pace up and down his verandah when struggling with particularly difficult ideas, and he would stride up and down the podium when giving his lectures at Kyoto University. When he needed a break from the incessant workings of his brain, he would escape to the hills of Higashiyama for a walk. On such a meditative stroll he is said to have come to his first great insight into the nature of pure experience. When we walk this Path we are following in his footsteps. What insights and experiences will it bring us? 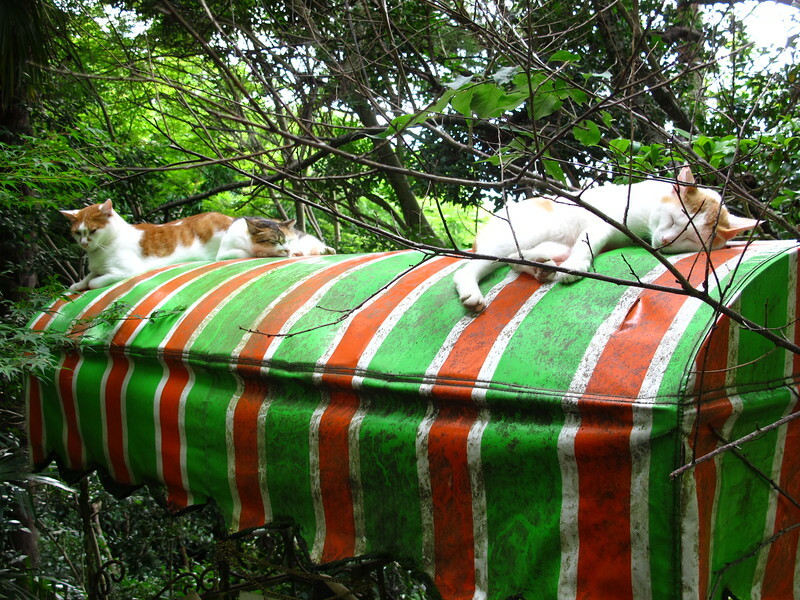 I’ve been visiting the Path of Philosophy off and on for 18 years and these contented cats in their suspended cart have always been here. People are very trusting in this area. There are many of these along the way. Some are more recognizably human in form, others simply appear to be pointy rocks wearing red bibs. Jizo statues always wear red bibs (and sometimes little red hats) because Jizo is the Buddhist patron deity of children, and the bibs make him appear more friendly. He is also the patron deity of travelers, so today he is watching over us too. If you are in a hurry and want an expert guide to the area, the Ebisuya rickshaw company has drivers stationed at the top of the Path nearby Ginkaku-ji. A 30-minute ride for two will cost 9000 yen, but there are other options available. Check their website for details. It is certainly a romantic way to go. 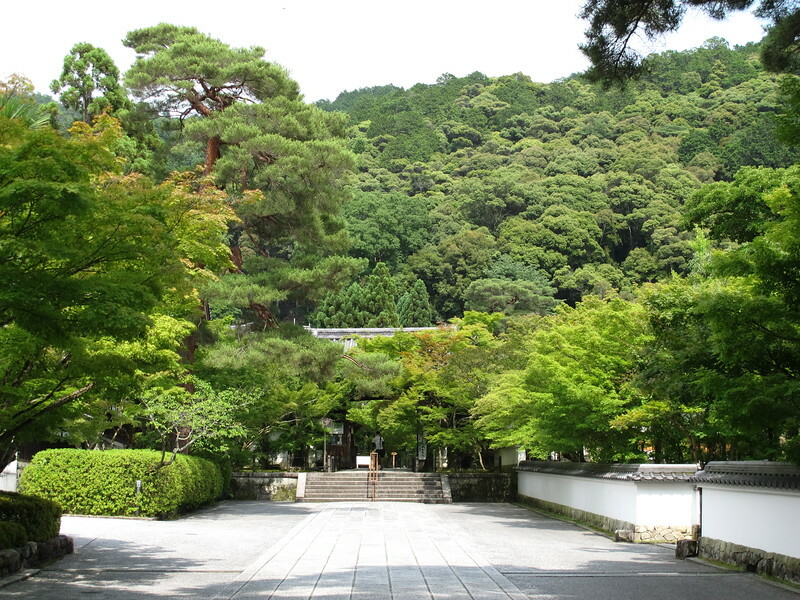 Not long after you pass the Philosophical Cats you will see Koun-ji Temple on your left. Apparently, the garden of this temple is very nice, but it is only open for a few weeks at the end of November. 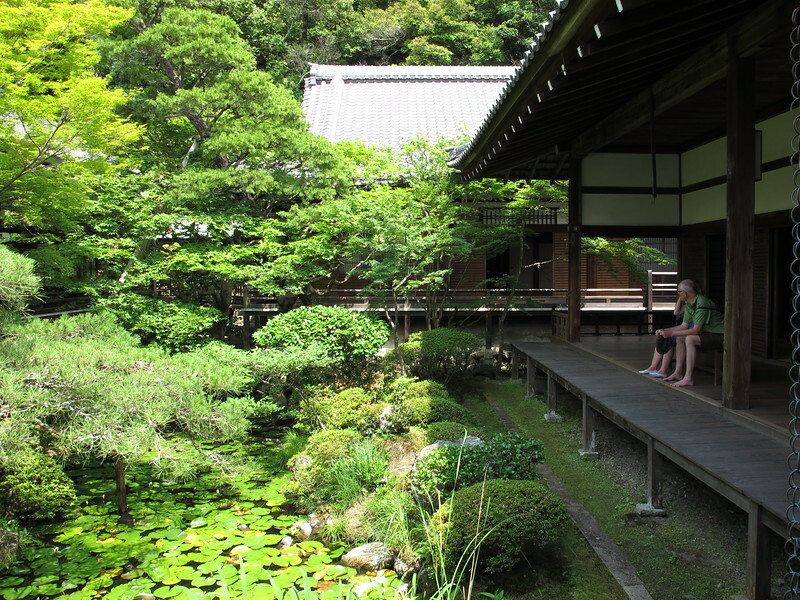 It is however possible to join in lengthy zazen meditation sessions here, if you are willing to take part in some chores around the temple first. Please check the Japanese website (or have someone check it for you) for details. The English website of the head priest Tanaka Kaju may also be of interest if you want to learn more about Zen philosophy. 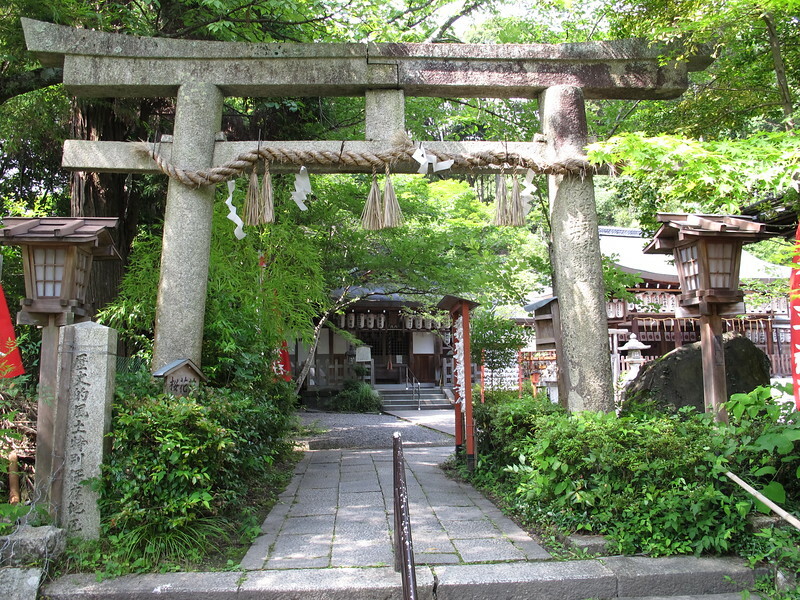 A sign on your right will direct you over a bridge and into Otoyo-jinja Shrine. 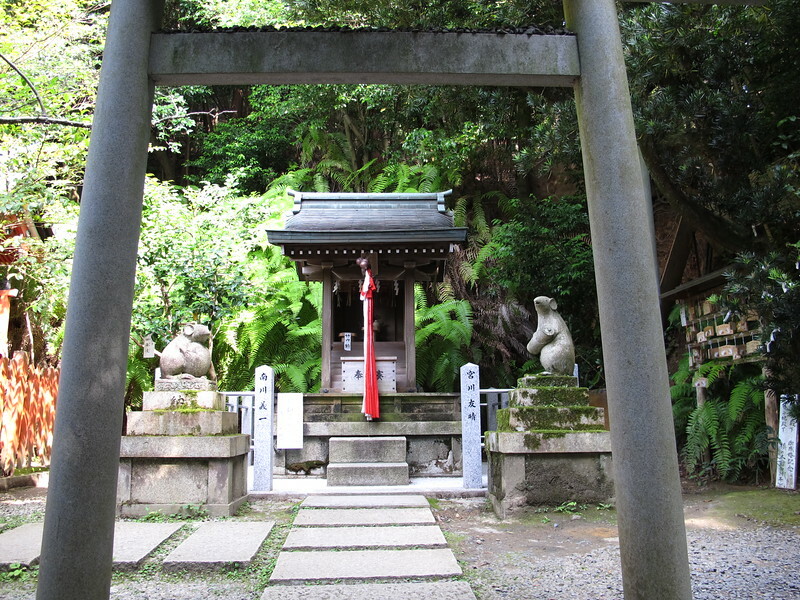 Otoyo-jinja is noted for the unusual guardian animals that mark the entrance to one of the inner shrines. 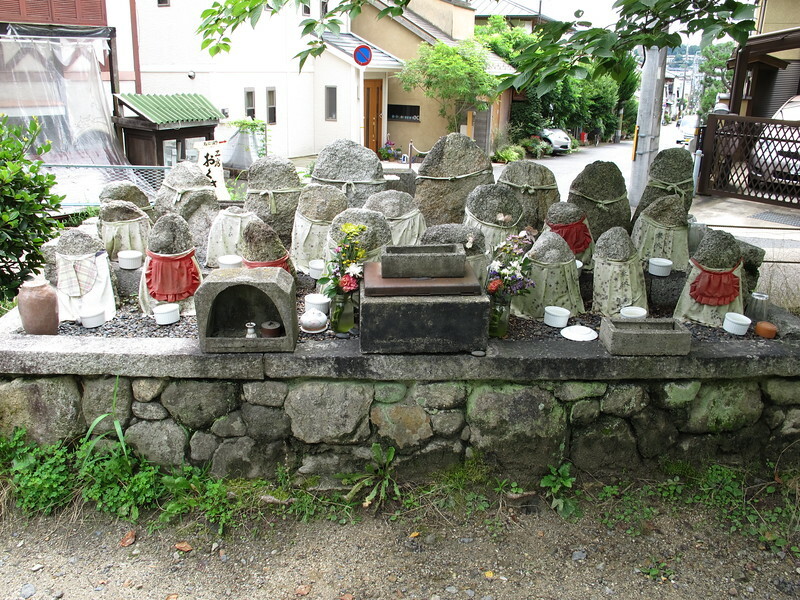 It is normal to see guardian dogs or foxes at the entrance to a shrine, but this shrine has mice! 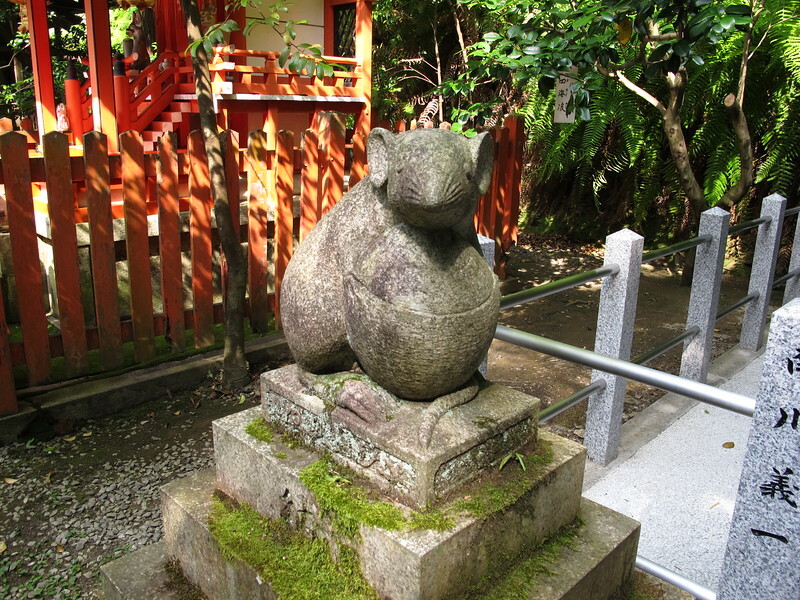 Otoyo-jinja is dedicated to the hero-god, Okuninushi, who had a particularly good relationship with mice. An old story has it that Okuninushi wanted to marry the storm god Susanoo’s daughter, but Susanoo wasn’t so keen on the idea. To get rid of the ardent young suitor he shot an arrow into a field of tall reeds and told Okuninushi to go fetch it. Hoping to please his future father-in-law, Okuninushi dutifully trotted off on his seemingly impossible task. Susanoo then set the field on fire on all sides. Our hero was trapped and seemingly doomed, when he heard a tiny little voice at his feet. It was a mouse, who proceeded to show him a hidey-hole in which to wait out the fire – and when the flames had passed the helpful mouse brought him the arrow too! The mouse on the left is said to be holding sacred sake, a symbolic celebration of good harvests and happy childbirth. The mouse on the left carries a scroll, clearly symbolic of learning. 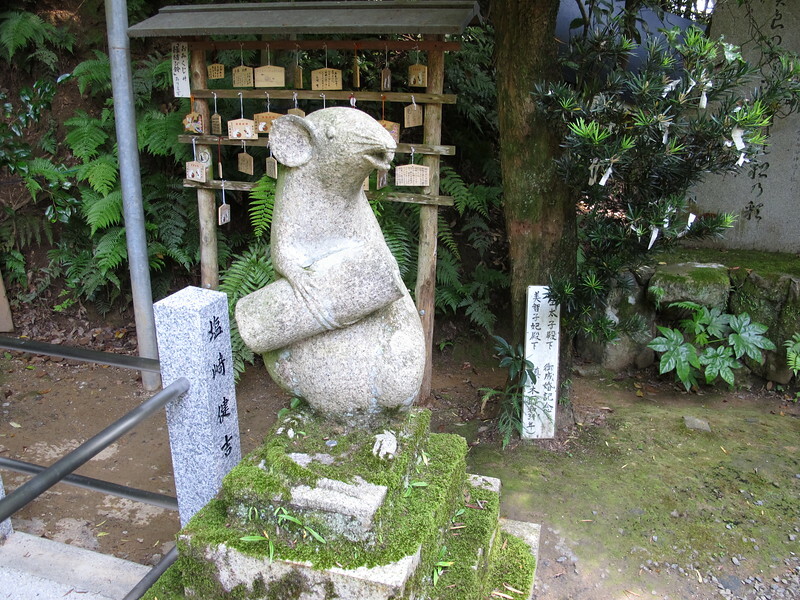 Though the shrine itself dates back to 887, these guardian mice are not so old and have only been here since 1969. Since then however, the Otoya-jinja has become popular with people who are born in the Year of the Rat, and the shrine gets particularly crowded when New Year’s Day falls in a Rat Year. Back on the Path of Philosophy, the tomb of Emperor Reizei (949 –1011) is very easily missed as it is quite far removed from the Path and completely closed off from public entry. 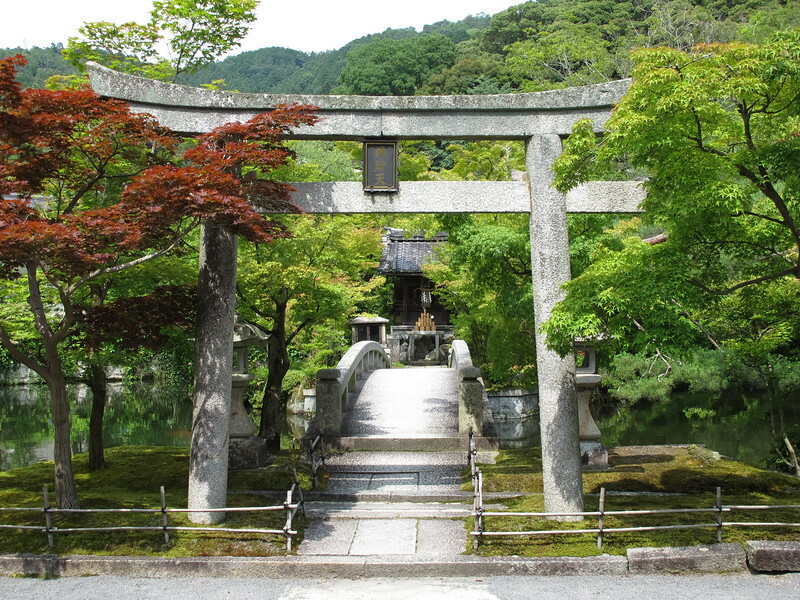 Look out on your right for a grey stone torii gate standing before a green mound. There’s not much to see here, but this obscure spot is the last resting place of a rather unusual character. He was once discovered sitting on top of a palace guard house roof. As a very young child he decorated a letter to his august father, the Emperor Murakami, with a carefully drawn picture of an enormous phallus. Even after badly injuring his leg, he continued to play kemari, an ancient type of soccer, obsessively, for several hours and had to be dragged away from the ball. It’s not hard to understand how the rigid formality of Imperial ritual and decorum, which continues even to this day, might drive a young person crazy. 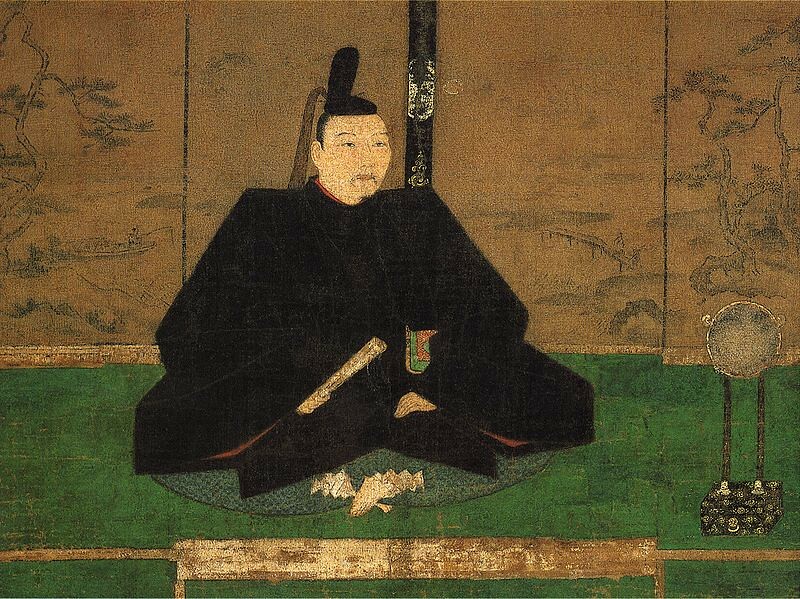 It could be that Emperor Reizei’s eccentricities were simply his protest against the system. As I read these stories, I cannot help finding them rather humorous, and I like to think of him bravely singing in the face of adversity and loss. Perhaps he was simply a free spirit in an age that didn’t understand him. About halfway up the Path, just opposite the Pomme Café, is a memorial stone set into the verge by the side of the canal. 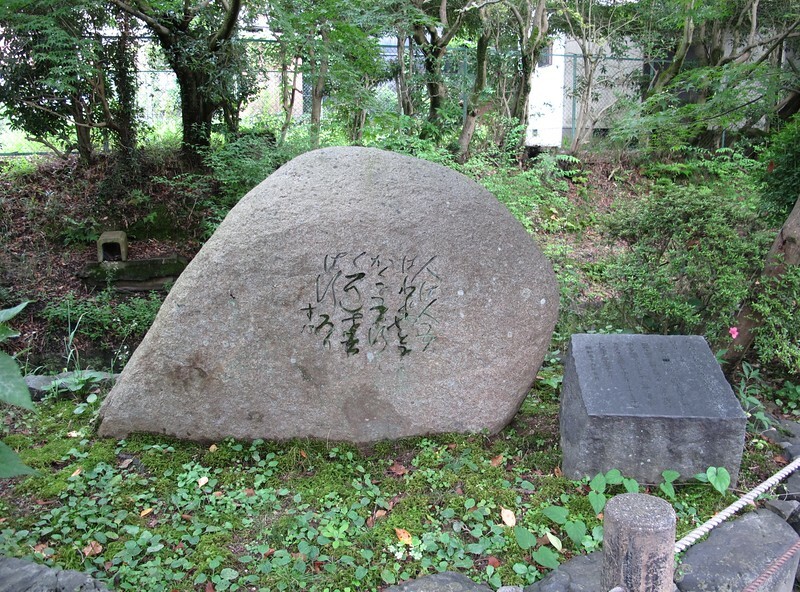 Carved into the stone is a short poem by our eponymous philosopher, Nishida Kitaro. Nishida wrote this poem in 1934 when Japan was falling increasingly under the sway of right wing nationalist ideology. He disapproved of the nationalists’ short-sighted and aggressive policies and their anti-foreign sentiment. 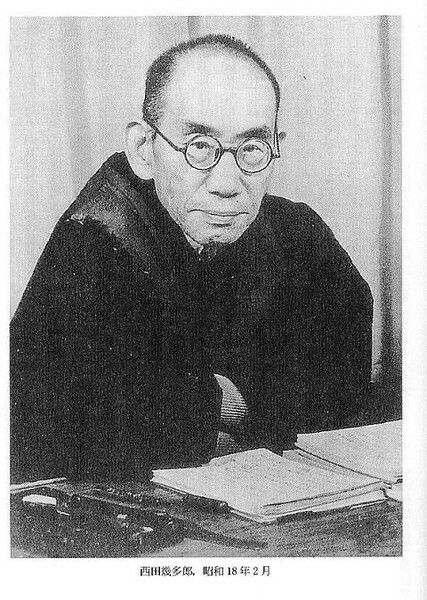 The nationalists also viewed Nishida with suspicion, for his world view was inclusive and he saw Japanese culture, as one part of a greater global culture. Despite his concerns for his country Nishida took a long view. He knew that the bad times would someday pass, and that the legacy of his work would remain. This is his most famous poem and it expresses his stubborn determination to ignore the trends of the time and keep going his own way. Opposite the poem stone is a café, with a window and a counter that opens onto the street. 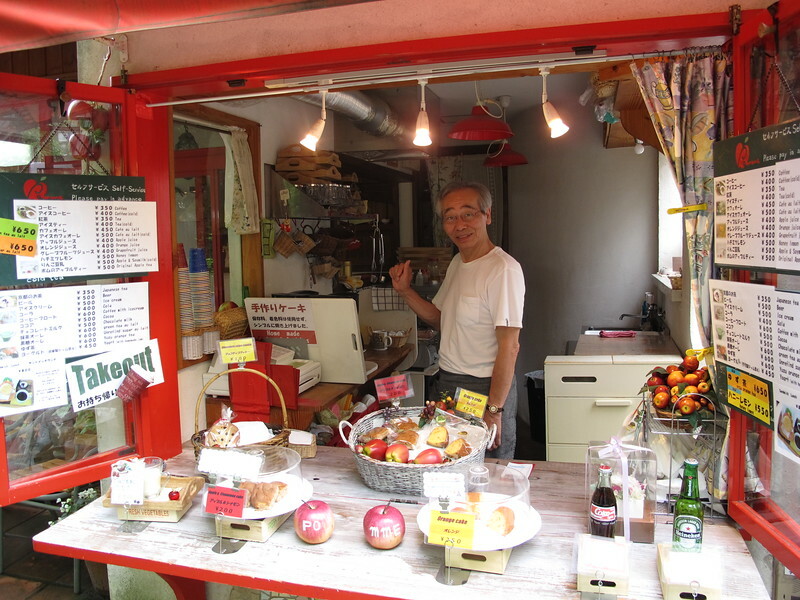 There is a friendly man behind the counter called Asano-san, and he is selling coffee, cake, cookies and other refreshments. You can eat them in the café or buy them to take away. If you feel the need for a drink or a snack, this is a good place to get one. His cookies are very tasty. Pomme is open from 12:00am to 18:00pm. It is closed on Wednesdays and the second and third Tuesday of the month. 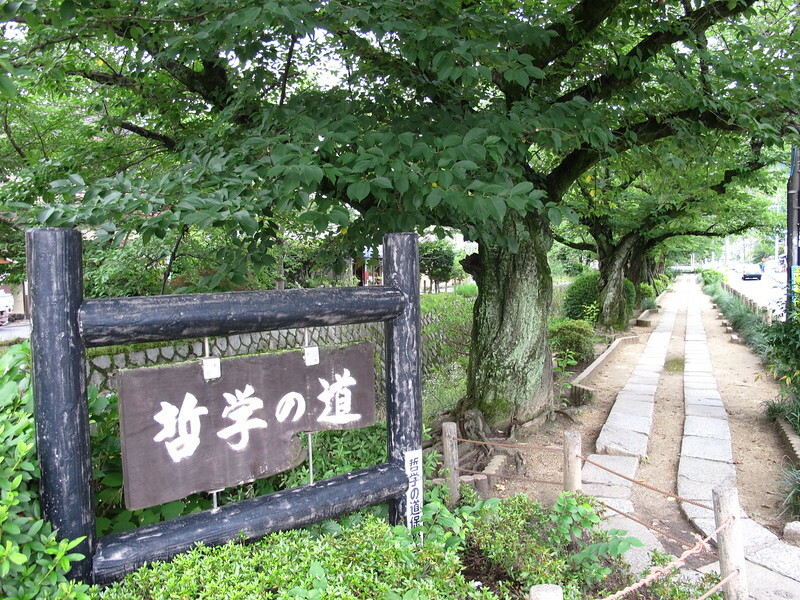 A sign points the way to Honen-in Temple. Turn right, across the canal and walk over to the road that runs parallel to our Path. Honen-in lies buried in the woods that cover the hillside beyond. This is a magical place, and entering it feels very much like entering a secret garden. Pass through the gate and between two white mounds of sand. The designs that are raked on these mounds are different every time I visit. Passing between them is said to purify the mind. Honen-in was founded in 1680, and named after the priest Honen, who devoted his life to seeking salvation for all, no matter what their station in life. The current abbot is a keen promoter of the arts and works with the local community to promote environmental awareness and a cooperative spirit. Art exhibitions and musical events are often held within the temple grounds. 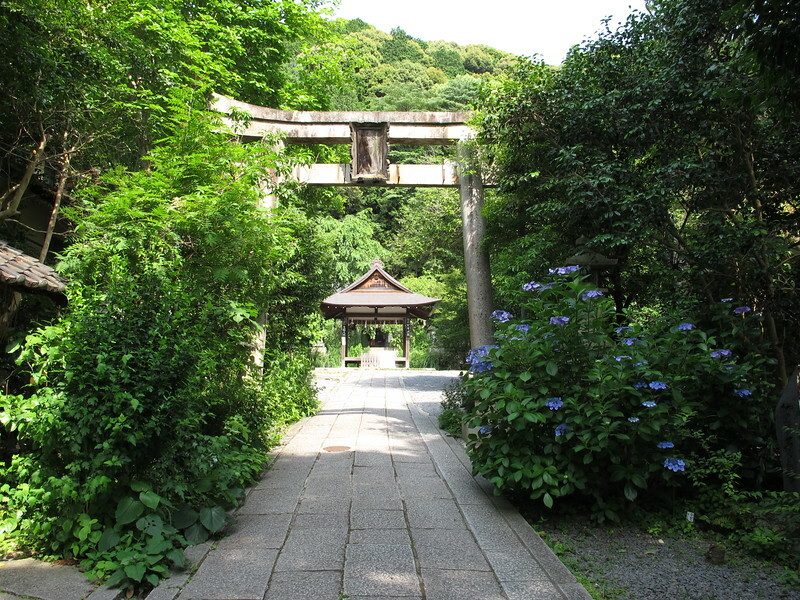 Honen-in is open from 6:00am to 4:00pm and entry to the grounds is free. 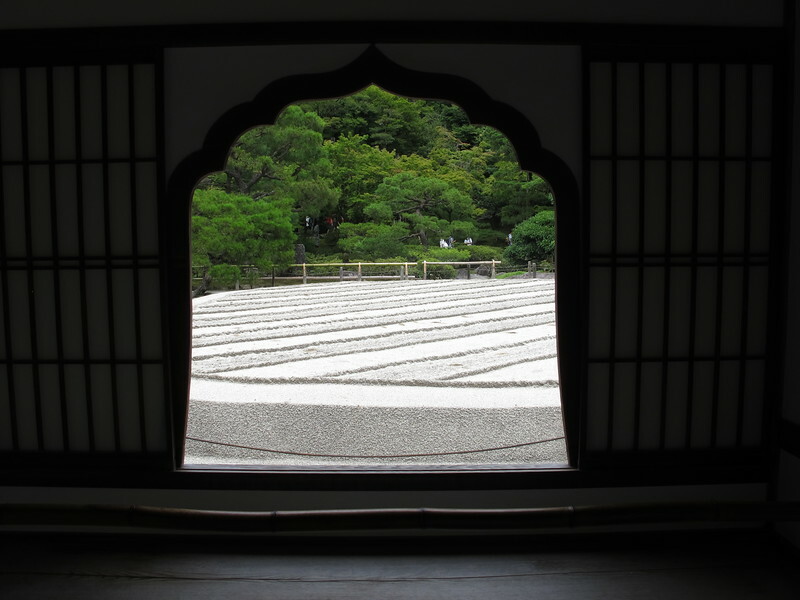 You can read more about Honen-in on Inside Kyoto’s dedicated page to the temple. Leaving Honen-in turn right and keep going till you find Kisaki tofu restaurant. It’s time for lunch. 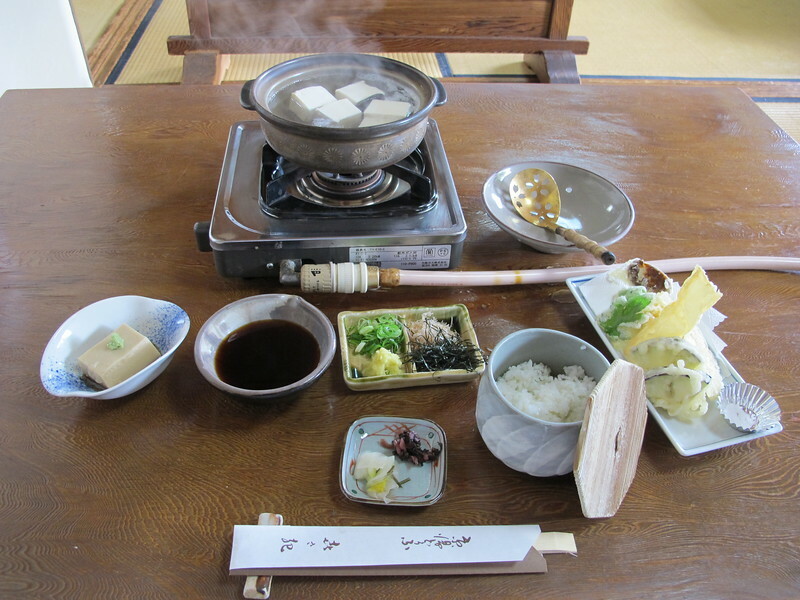 Kyoto is famous for its tofu and yuba (tofu skin) cuisine and Kisaki is a great place to try this traditional vegetarian fare. There are a couple of lunchtime options and on my visit I chose the cheaper one at 2100 yen. For this I got boiled tofu with a dipping sauce, vegetable and yuba tempura with salt, sesame flavored tofu, rice and some pickles. It was delicious, satisfying and super healthy. 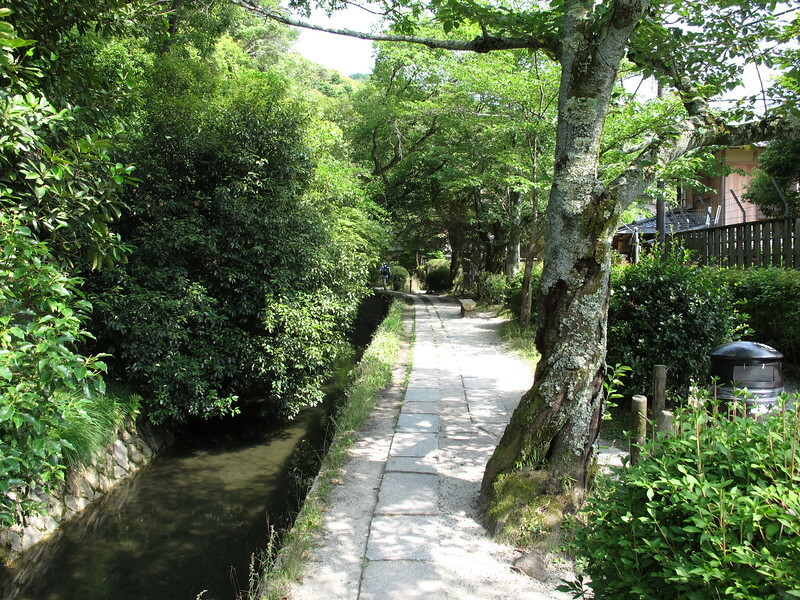 Return to the Path and walk the last stretch that takes you up towards Ginkaku-ji Temple. This temple lies up a hill on your right. Ginkaku-ji Temple, is called the Silver Pavilion in English, and was built as a villa by the Shogun Ashikaga Yoshimasa (1436 –1490) as a counterpart to his grandfather’s famous Golden Pavilion (Kinkaku-ji Temple) on the other side of the city. 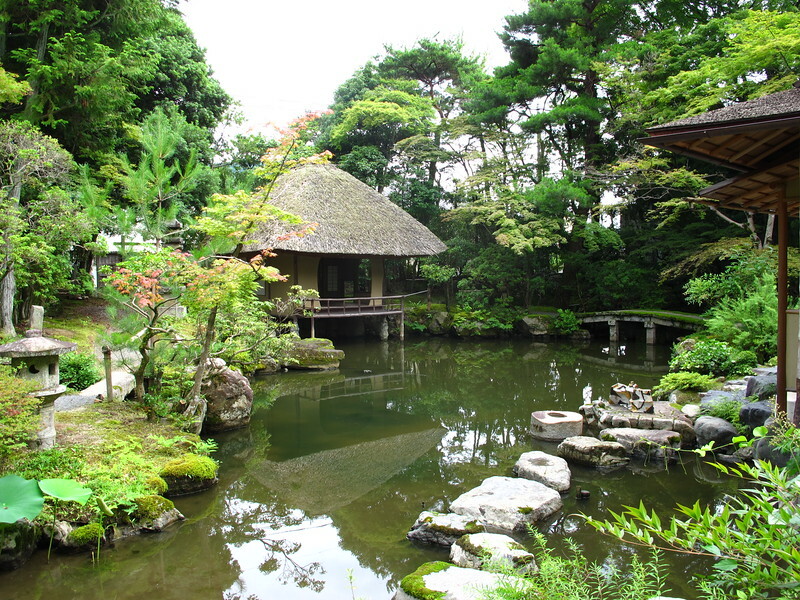 Oddly enough there is no silver on Ginkaku-ji because Yoshimasa favored refined simplicity over glittering ostentation. 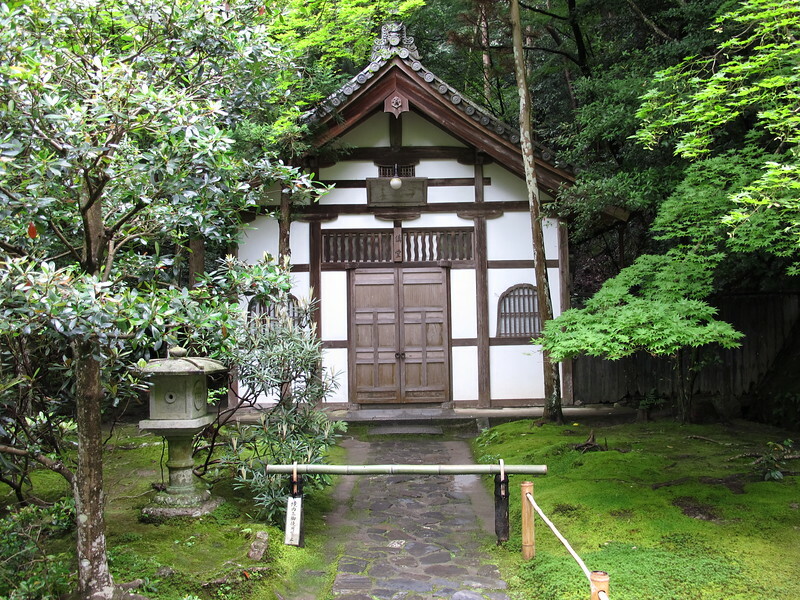 Though he ruled in a time of terrible civil conflict, Yoshimasa had no head for politics and retreated to his villa here in the hills, where he patronized arts such as the tea ceremony, poetry and flower arrangement. After his death the villa became a temple. The gardens here are beautiful. 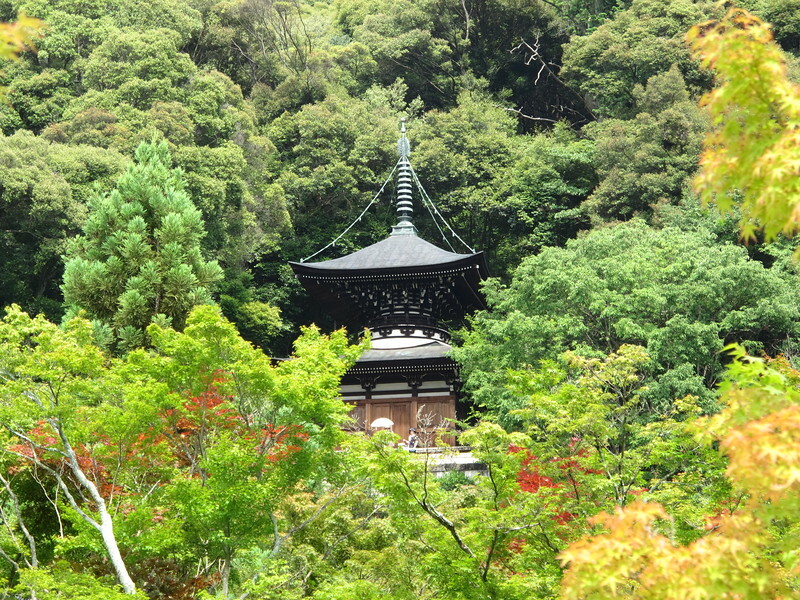 Climb the path at the back of the garden that leads to a splendid view over the temple with the city as its backdrop. (This quote from Nishida Kitaro’s correspondence was translated by Michiko Yusa and taken from her excellent introduction to Nishida’s life and thought: Zen and Philosophy). 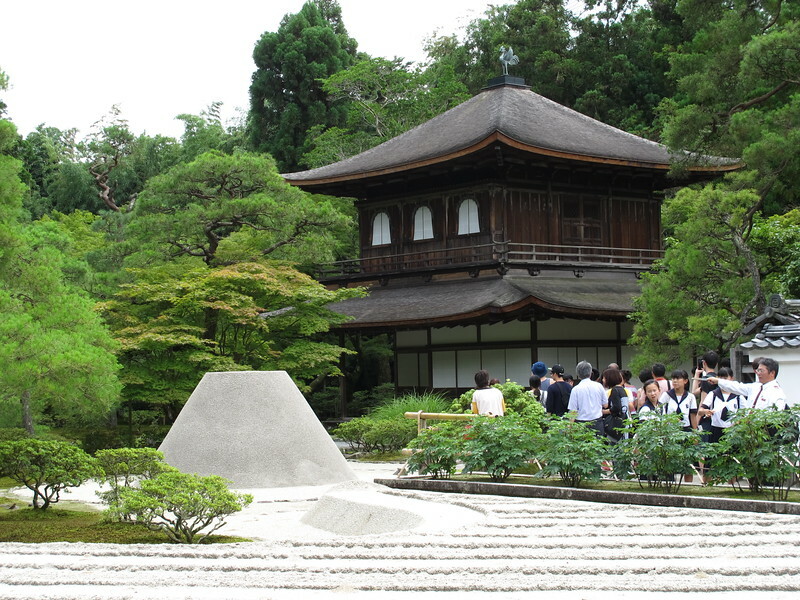 From March to November, Ginkaku-ji Temple is open from 8.30am to 5: 00pm. From December to February the hours are 9:00am till 4.30pm. Entry is 500 yen. 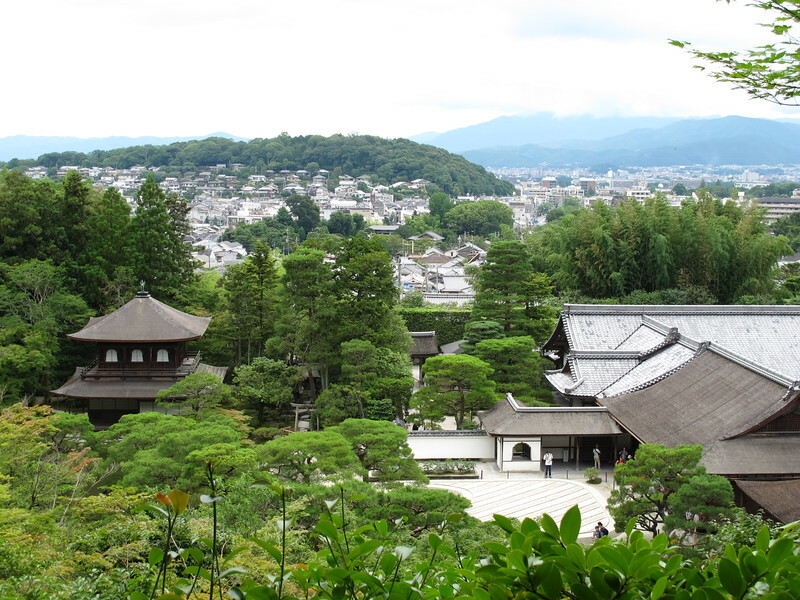 You can read more about Ginkaku-ji on Inside Kyoto’s dedicated page to the temple. Unfortunately, Ginkaku-ji, as a World Heritage Site, is often crowded with tourists, and likewise the busy slope that leads up to it, with its colorful souvenir and ice cream shops, may well disturb your contemplative composure. If you feel the need to restore your spiritual equilibrium I recommend one last stop before we leave the Path. 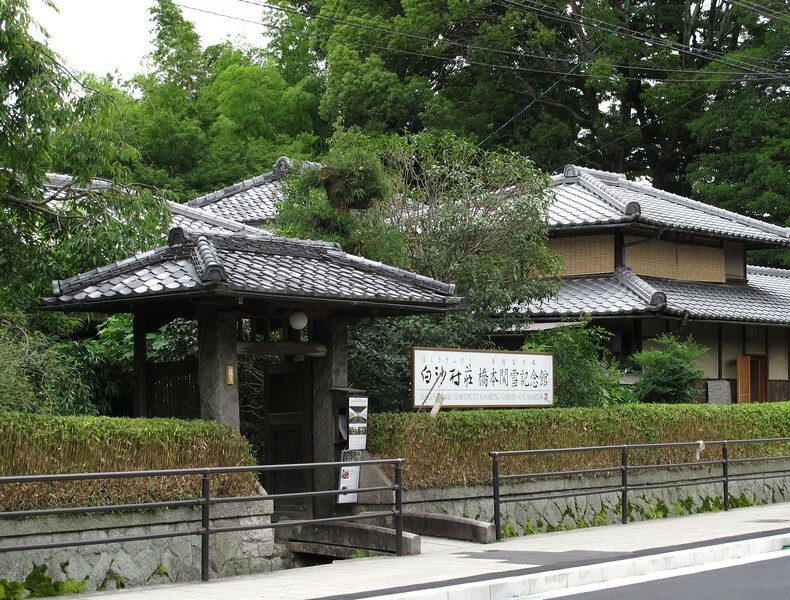 The Hakusason-so Villa was built in 1916 as the private residence and studio of the traditional Japanese style painter Hashimoto Kansetsu (1883–1945). 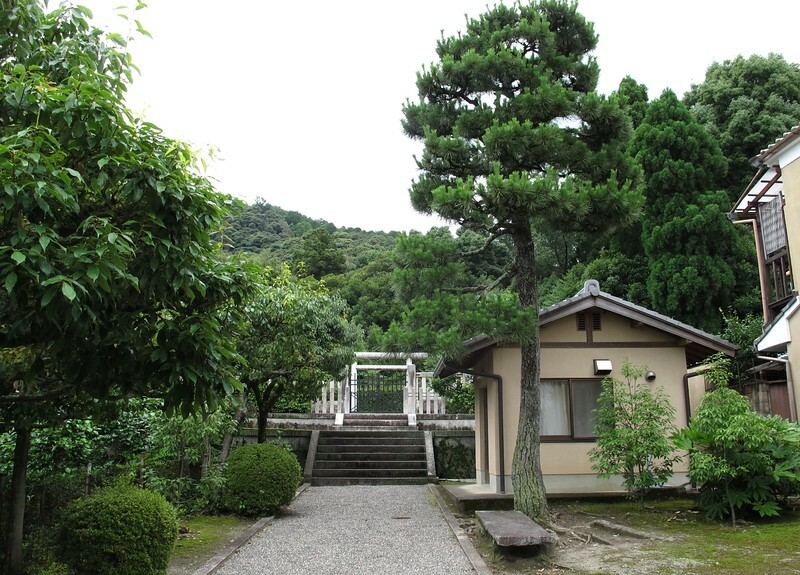 Today it is open to the public as the Hashimoto Kansetsu Garden & Museum. 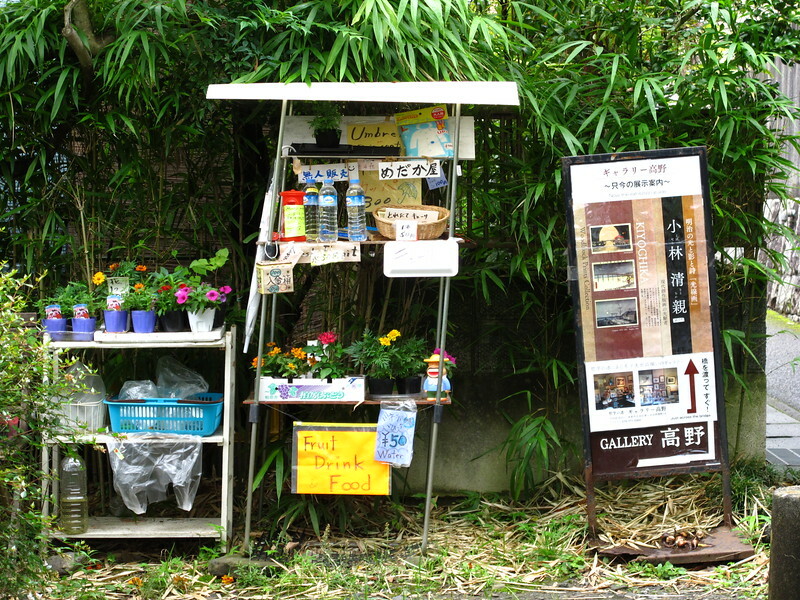 The entry fee at 1000 yen is a little steep, but for that you get to see a selection of Kansetsu’s work as well as other changing exhibits – and you also get to visit the garden. The extensive garden contains tea houses, Buddhist statuary and antique pagodas. You can sit in Hashimoto’s studio and enjoy a meditative moment looking out over the pond or admire the view from the second floor of the museum. 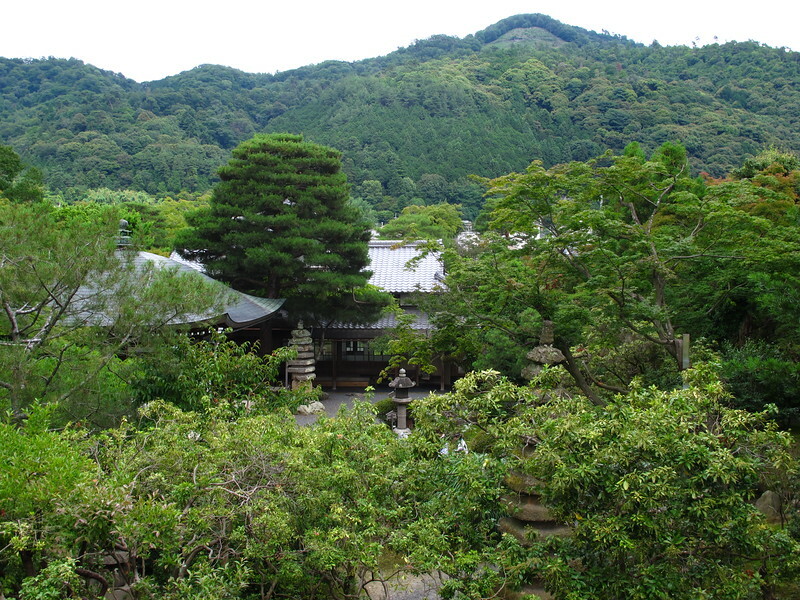 From here the garden makes good use of Mount Daimonji as borrowed scenery. Hakusason-so is open from 10:00am till 5:00pm and costs 1000 yen to enter.